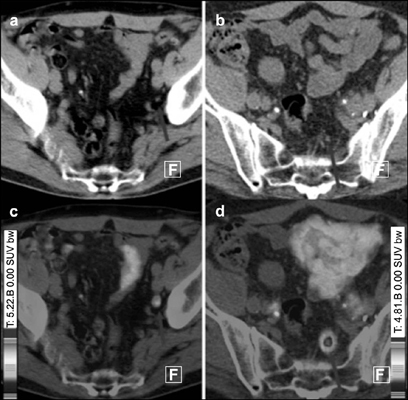 Background and objective: In the last twenty years, positron emission tomography / computed tomography (PET/CT) with radiolabeled choline, represented the most powerful imaging modality for prostate cancer (PCa). However, the low positive detection rate of the technique for PSA < 1 ng/ml prompted the development of other tracers for imaging PCa. Methods: We performed a critical review of 68Ga-PSMA, a receptor ligand tracer, which has been identified as the most promising radiopharmaceutical for imaging PCa. Results: The most promising feature of this radiopharmaceutical is the high positive detection rate for prostate specific antigen (PSA) levels < 1 ng/ml or less (i.e., PSA < 0.5 ng/ml). 68Ga-PSMA detection rate is also sensitive to PSA kinetics, expressed either as PSA doubling time or PSA velocity. There are initial results indicating that 68Ga-PSMA may significantly affect the clinical management of PCa patients, even though the additional advantages in comparison to radiolabeled choline need to be further supported in future perspective studies. Other clinical implications, such as whether 68Ga-PSMA PET/CT predicts PCa-specific survival, have not yet been investigated. Numerous clinical studies have been published, some of them with histopathological verification so that despite the recent introduction in the clinical field reliable estimation of sensitivity and specificity of 68Ga-PSMA PET/CT have been obtained through meta-analyses. Most clinical studies with PET/CT with 68Ga-PSMA are retrospective, single-institutional studies and in many cases include heterogeneous patient cohorts. Thus, multidisciplinary, well-throughout prospective trials are needed to better define the clinical implications of 68Ga- PSMA PET/CT in PCa patients. The increasing availability of positron emission tomography / magnetic resonance (PET/MR) hybrid devices promotes the use of this radiopharmaceutical especially at initial staging when identification of tumor localization and of extra-prostatic disease represent clinically relevant questions. PSMA cold ligands can also be labeled with beta emitters with good chemical stability so that 68Ga-PSMA PET/CT can be used to guide radiometabolic therapy of advanced metastatic PCa patients through 177Lu-labeled PSMA ligands. Conclusion: PSMA labeled ligands appear very promising for diagnosis and treatment of PCa. Keywords: Prostate cancer, 68Ga-PSMA, PET/CT, PET/MR, radiolabeled choline, tomography, extra-prostatic disease, 177Lulabeled PSMA. Keywords:Prostate cancer, 68Ga-PSMA, PET/CT, PET/MR, radiolabeled choline, tomography, extra-prostatic disease, 177Lulabeled PSMA. Abstract:Background and objective: In the last twenty years, positron emission tomography / computed tomography (PET/CT) with radiolabeled choline, represented the most powerful imaging modality for prostate cancer (PCa). However, the low positive detection rate of the technique for PSA < 1 ng/ml prompted the development of other tracers for imaging PCa.